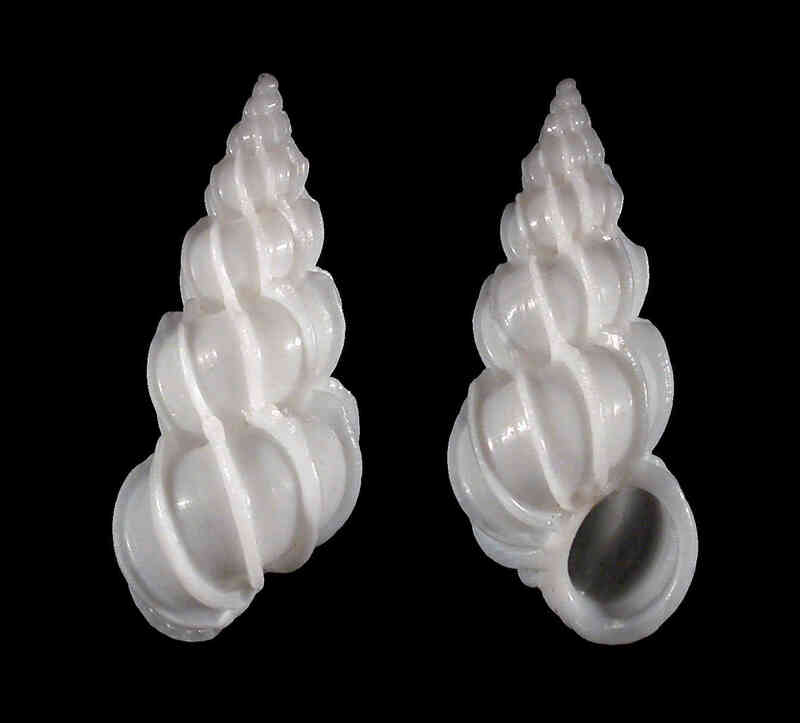 Shell size to 25 mm; shell elongate but robust, with six whorls which do not touch. 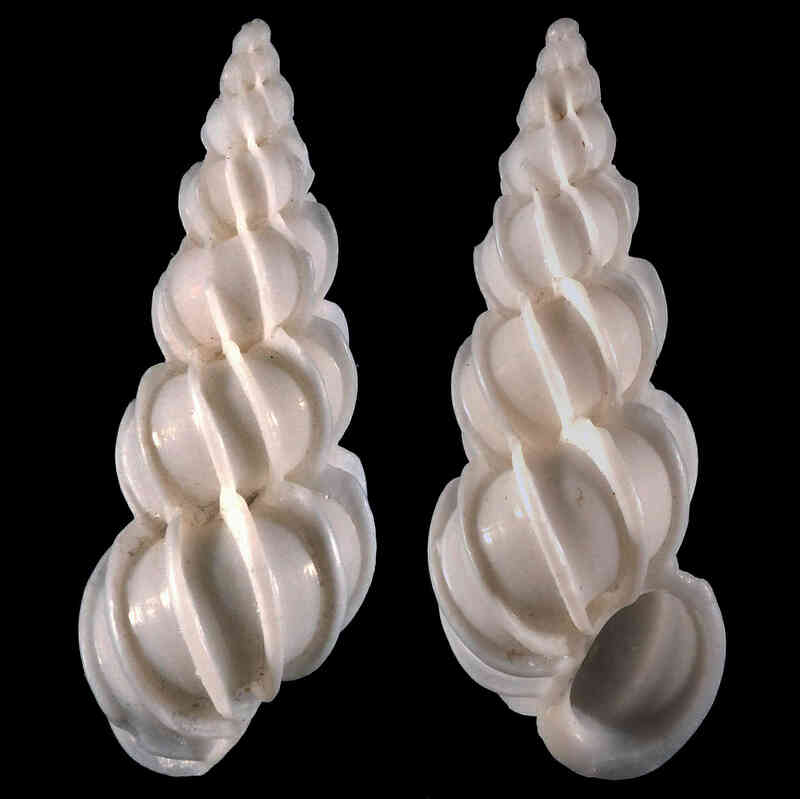 Sculpture of about ten costae per whorl. Costae sometimes strongly angled at shoulder. Outer lip thickened, separated from body whorl by costae. Color white. Predominant and more variable wentletrap on Sanibel. 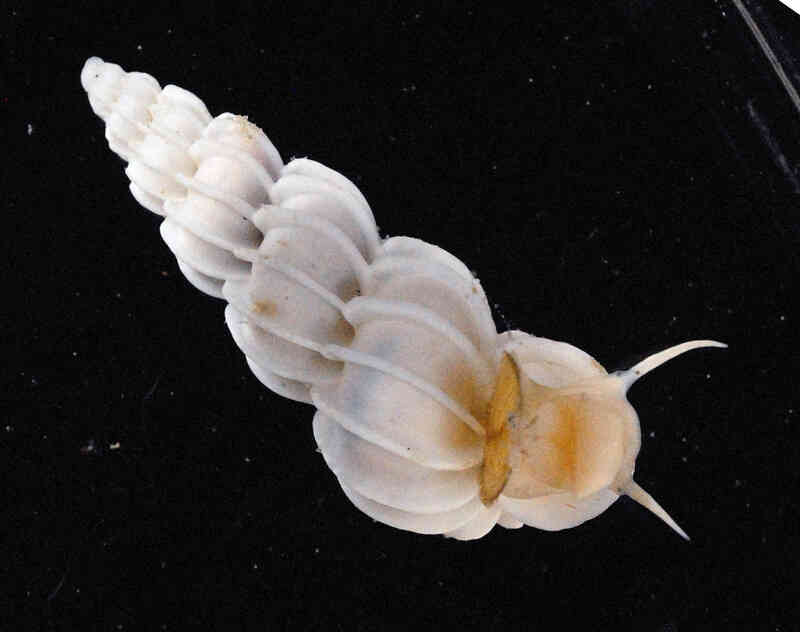 Do not confuse with E. humphreysii, which is more slender, has a off-white or cream-colored shell (but white costae), and usually thicker costae. The operculum in E. angulatum is translucent yellowish-amber, whereas in E. humphreysii it is opaque blackish-brown. 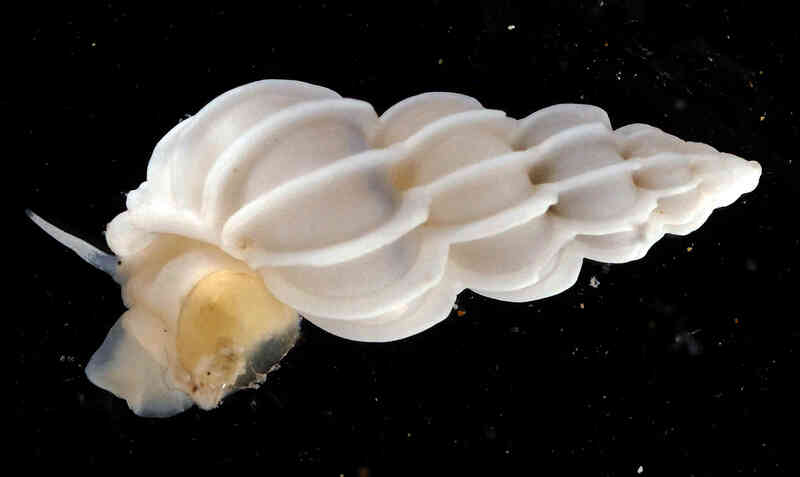 The live specimens were collected by Rebecca Mensch on Sanibel on April 1st, 2015, and photographed by José H. Leal.